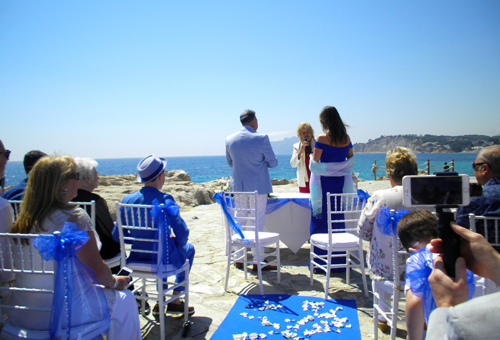 The Costa Blanca Celebrant creates enduring memories with Humanist, non religious ceremonies for the important milestones of life. Your Celebrant for the Alicante and Valencia areas. All the ceremonies by your Celebrant in Spain are personalised especially for you, to reflect your own values and requirements. They can be designed to include your own words, and with family or friends doing readings and poems. Music is another important part of many events, and assistance can be given to find what is best for your needs. They can be as elaborate or as simple you would like for a few to hundreds of guests and can be held in the location of your choice- an outdoor or indoor venue - as long as the necessary permission is obtained. As well as being the most experienced Wedding & Event planner in the Costa Blanca, Susan Coley has conducted ceremonies at events in Spain on many occasions - her first one being in Benidorm in 2005. She is an experienced Officiator and a European registered Humanist Minister. She has often written personalised non religious ceremonies for other officiants in Spain. Susan is a trained Public Speaker, has worked for BBC TV and has lived in Spain for over 20 years. Everything you require may be arranged by email and phone if it is not possible to have a meeting or travel to Spain prior to your event, or an initial meeting may be held if you can visit or live here. Humanism recognises that each person's spirituality has to be developed naturally, and encourages everyone to draw upon whatever religious traditions, spirituality and behaviours are most appropriate for their own unique situation and background. We work for Human Rights, LGBTQ rights, Freedom of Speech and the right to say your beliefs all over Europe and the World. Humanist ceremonies are non-religious and therefore have no worship of a god or fixed rituals - so that it is suitable for all faiths and beliefs. There is no religious content such as sermons, prayers or hymns. All ceremonies are unique and created to adapt to each individual needs. Details of Humanist WEDDING & FUNERAL Ceremonies in the Costa Blanca may be viewed on the other pages. A growing number of parents wish to announce the birth if their child but do not want a church or religious event. 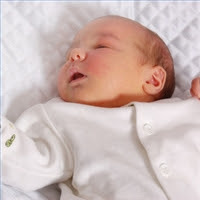 This non religious Ceremony can be a delightful alternative to a Christening or Baptism.It is a formal but joyful way of introducing a new baby into your family & social circle & announce parents' commitment to nurture the child into adulthood. Small groups, Winter Weddings or various other Services and special circumstances may qualify for discount. Please free to discuss this as the aim is to be as flexible as possible so that more clients are able to have the services offered. Discount for small groups & various circumstances.